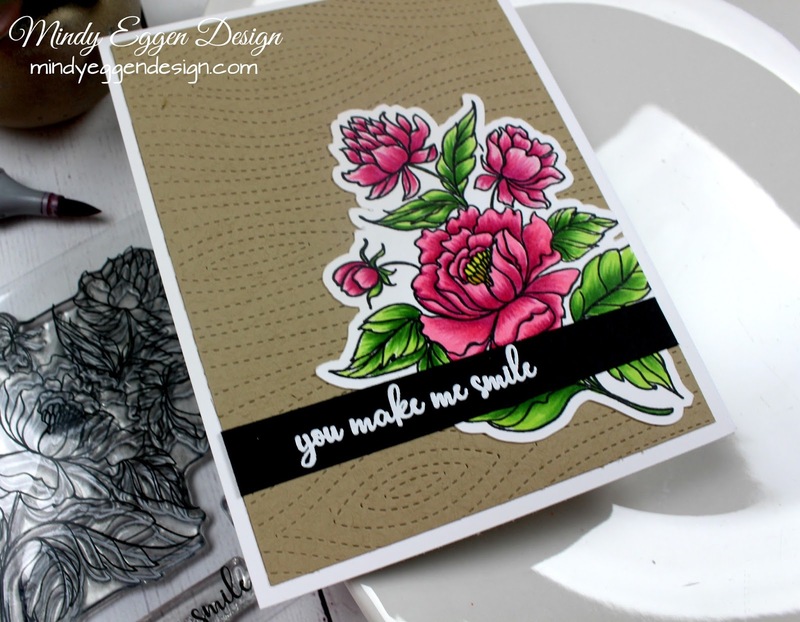 Gina K Designs has some great floral images! This one that I’m sharing is You Make Me Smile. I stamped this image out onto Neenah white cardstock 80lb with a copic safe ink and colored with copic markers. Then I used my Scan n Cut machine to cut it out. 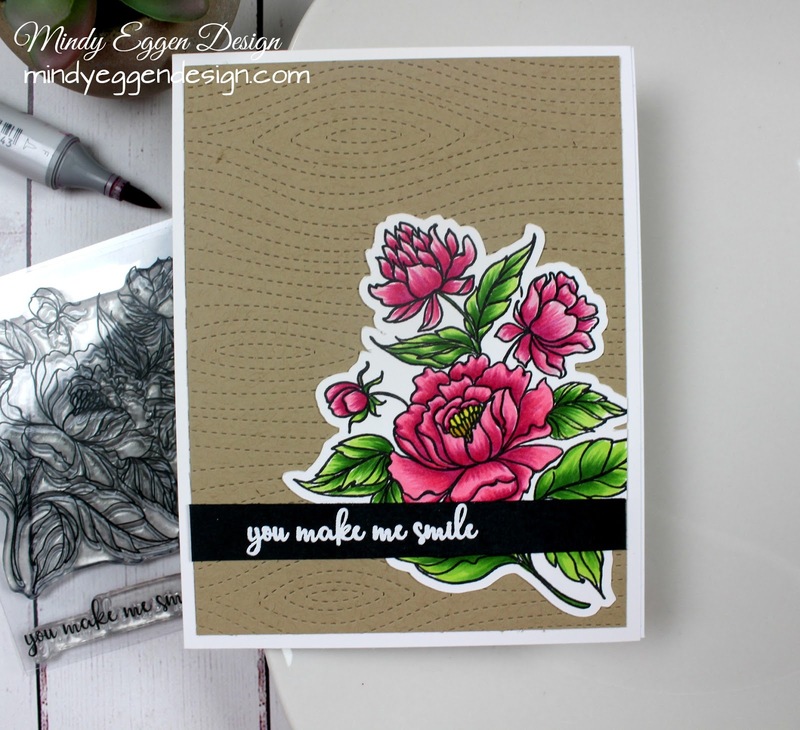 I used the Stitched Woodgrain die to cut out my background on kraft cardstock and added this panel to a white cardbase. I then added my image to the card front. The sentiment is also from this stamp set of which I heat embossed in white onto Black cardstock. 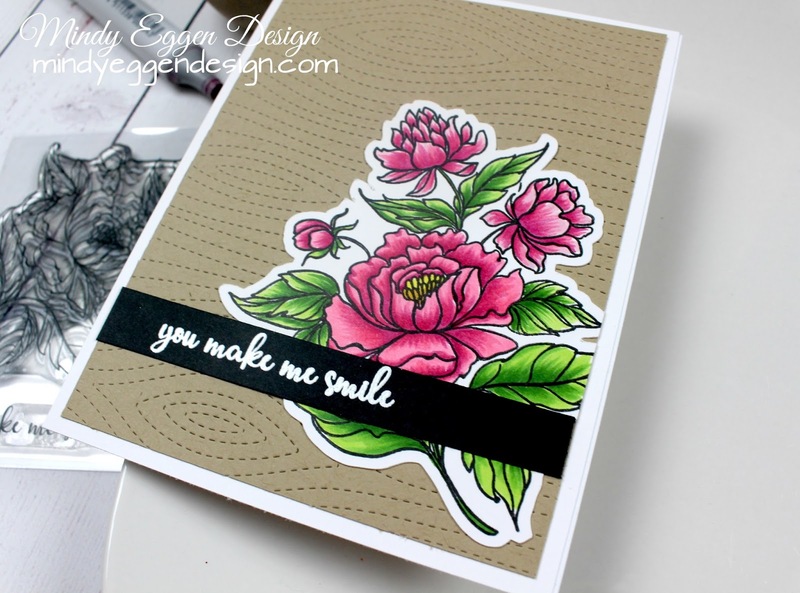 This is such a gorgeous stamp set and I have a few other ideas to try with it ! Your card looks lovely. Great colouring of the ìmage and works well with background.